How to ensure your credit score is as high as it can be. For better or for worse, getting a good credit score requires careful maneuvering just as much as it requires paying your bills on time and spending responsibly. There are some way to improve your credit score that has very little to do with your actual spending habits. I know…this is pretty basic. The reality is that a late payment will stay on your credit for more than 10 years. Today, if you have ANY derogatory credit in the past 5 years you will be automatically disqualified from just about any legitimate funding/financing source. You get the point. You simply have no idea how much this makes a difference. If you can just keep your credit balance below 30% on each of your lines of credit will help tremendously. 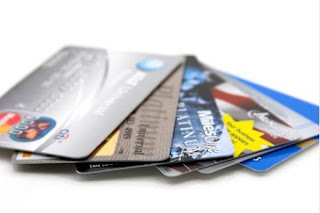 Most people get daily offers from credit card companies to consolidate all your balances onto their card and enjoy a low rate (maybe even zero) for a period of time. Try to resist this if it will push you over the 30% mark AND you expect to apply for financing in the next 4-6 months. Having three cards with 29% of the limit used up is far, far better than having two cards that are at 0% and one that is at 87% percent. Yes, you heard me right. It’s okay to move your money around a little bit to make things work. Transfer balances from one card to another if you have to! Maybe you don’t have any extra room to move your balances around because all of your credit lines are over 30%. That’s okay. Make a payment to get the balance (or balances) below 30% and then ask your lender to help you do a “rapid rescore.” If you use rapid rescoring, the credit bureaus will reassess your credit profile and assign you a new credit score. Credit lines attached to your business are not included on your credit report if they remain in good standing. Each time I’ve started a business, and filed the legal business entity (like an LLC or Corp) I call American Express (yes –I am a true evangelist for AMEX) and request to open a business credit card. Why? I can start buying equipment, office supplies and more without spending personal cash. It also means that they will not affect your credit report or your debt ratios. Most people start incurring expenses before they file their business entity. Avoid doing this. It’ll be easier to keep your personal and business expenses separate and keep you driving up your personal debt. If you have a HELOC (Home Equity Line of Credit) find out from your lender if it is being reported as a “revolving line of credit.” If it is, and you are using more than 30% (or intend to) you might want to consider replacing it with a 2nd Mortgage loan. Why? If you use a 2nd mortgage to take out the existing debt – it will no longer show up as a credit line. Too often, people get a HELOC (because it’s super simple to use, tax deductible and flexible) so they can use it if “life happens.” The original intent is to help in case of emergency but then…the blinds could be replaced….and we need a new kitchen….and it’d be so nice to replace our shower…and before you know it – you have extended that line further than you anticipated for non-critical items. If you are in this position, you might want to consolidate your loan into one mortgage OR use a second to reduce your revolving credit exposure. If collection agencies are hassling you to pay off an old debt, negotiate with them to remove the collection from your credit report. The last thing that they want is for you to simply ignore their letters for another year or two, so they may be willing remove the collection from the record in exchange for you promptly paying the balance. If this is the case, go ahead and pay it. Your credit score will jump up faster than a rabbit on steroids!? I got a discover card when I was 18 years old. When I turned 26 I cancelled it. Why? I had only used it 2-3 per year and never carried a balance. It seemed pointless to keep it. Sadly, I called Discover, cancelled it and then threw the card away (yes – I cut it up). In its simplest form, a credit score (FICO) is nothing more than a calculation of how you have managed debt over time. If you have a rich history of managing credit, you should have a good score. If you have been irresponsible – the opposite will occur. Closing a credit line will take that history out of the equation. In my real life example I cancelled my longest standing credit line at the time. Why? I am still not sure – it just seemed like the right thing to do. This will almost always hurt your credit score, so you should never do it. Being selective about opening up credit lines in the first place is much, much better than having to close them later and hurting your credit score in the process. File all of your credit applications separately from your husband or wife. If you file all of your applications together, you will only multiply the possibility of ruining your credit if one of you makes a mistake. You really don’t want your spouse’s credit score to be smashed just because you forgot to make a payment on that “Binford 2000 model” (that was for you House Improvement junkies) washer and dryer you bought, do you? I didn’t think so. And remember, there’s no getting around the fact that every time you open up a new line of credit, your credit score will go down initially. But if you co-sign all of your spouse’s credit applications, this effect will be instantly doubled. I shouldn’t need to tell you that you don’t want this to happen. Also, if you might consider getting a loan later, it’d be good to have theirs to use for subsequent applications. There is just one exception to this rule. You may occasionally want to apply for a line of credit or a loan together with your spouse only if you need to combine your incomes to fulfill the minimum requirement. When I was a kid I loved going to the park with my grandmother and grandfather to feed the ducks. We would through bread out on the water and watch the ducks come into feed. This might be a great strategy for feeding ducks but it is horrible if you are trying to get a loan. Do a simple search for “Unsecured Loans” on Google and you will find hundreds (maybe even thousands) of sites promising you they can get you cash – fast! Uh huh. Sadly, many do-it-yourselfers decide to apply with many lenders at one time. What these people don’t know is that each time you apply, they are likely “pulling” your credit for review. Each inquiry shows up on your credit report and can impact your credit score. Too many inquiries in a short period of time can not only drive your FICO lower, it can signify desperation to a lender. There are many professional organizations that can pre-qualify you and match you with the right lender for you specifically. There are many sites that provide a service that monitors your credit and notifies you when any changes are made. I personally use MyFico. (No I’m not getting paid for this plug) It emails me when changes are made, allows me to dispute issues online and review my up-to-date credit report without creating an inquiry. Review your personal credit report each quarter. Managing your credit is something you should do all the time – not just when you are considering getting a personal or business loan.